There are tons of homemade playdough recipes out there and so really all I'm doing here is adding to the pile. :) But, I can tell you that I've tried quite a few of those recipes and the one I've detailed below is my absolute fav. 1. In a medium sized bowl, combine all dry ingredients and mix well. Add wet ingredients to bowl and, again, mix well. 2. Add contents to a large pan and cook over medium-low heat, stirring constantly until it forms a ball. 3. The dough is ready when the mixture pulls away from the pan and when the wet parts begin to look dry. 4. Turn the dough onto your countertop and knead it until smooth. It will be quite warm to the touch, so be careful! 5. Add food coloring, glitter, extracts, etc. AFTER the dough has cooled. The color and scents won't "take" as well when the dough is hot/very warm. Re the ingredients, I use an off-brand of salt - it's cheaper and let's face it, when you're using a 1/2 cup each time, you don't want to/need to be using high quality stuff. 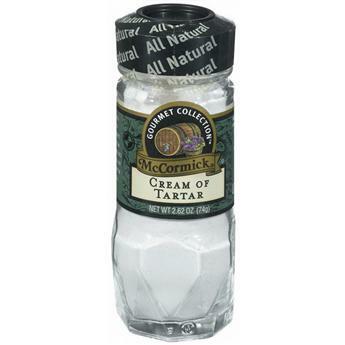 A lot of people aren't sure what Cream of Tartar is - it's a white powder, very common, found along with all the other spices in your grocery store. UPDATE: A reader wrote in with the tip that lemon juice could replace Cream of Tartar in the event you don't have it on hand. 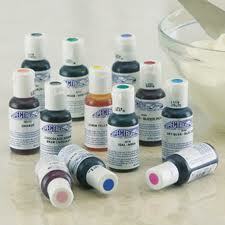 I like to use gel food coloring, such as this kind, because I find it comes in a wide variety of "unusual" colors (e.g. black, navy blue, hot pink) and a little goes a long way. The everyday McCormick brand is good too. When it comes to storing the dough, I find it best to keep it in a Ziploc container or bag in the refrigerator. In this way it'll last months. I know some folks keep theirs out at room temp and it maintains its original state perfectly fine. I'm assuming it's because of Bermuda's constant humidity that mine turns to goo after a few hours of sitting out. It's time to toss the dough out when it starts to look dry and crusty or when it gets very sticky and gooey. What you want it a nice, smooth, elastic consistency. If you choose to add glitter, please note you'll need A LOT of it. This is a situation where a lot of glitter goes only a little way. UPDATED: Imagination Tree shared the tip that a few drops of glycerin (which can be purchased at a craft or cooking store) makes the dough wonderfully stretchy and smooth. I make a new batch of playdough each month. You can click the links below to go to the actual posts to see how we used the dough. You can also view a slideshow of our dough here on my Counting Coconuts Facebook page. February: Chocolate - two links: here and here. October: Halloween - two links: here and here. December: Christmas - two links: here and here. I adore Laura's recipe. Except of the fact that I have always added the food coloring before cooking. Never saw problem with that, but will go on your path the next time. Silly question - what do you do with your son's final playdough creations? Especially when he mixes different colors as in the case of the rainbow theme? Oh this is great, great tips! Thank you for putting it all in one post (I'm not much for clicking around). I tried this recipe for play dough a couple months ago. It really is a great recipe and the dough is a great consistency. I brought it to our "messy playgroup" and everyone asked for the recipe. I plan on making some of the green and gold glitter play dough very soon for St. Patty's Day. Thanks for sharing the recipe, your great tips and great themes. This is the BEST playdough! I made some for my kiddos and they love it! It doest seem to dry out as fast as store bought stuff. Thanks for putting the recipe in an easy to get ot place! :) I always forget where I put the print out! That's my recipe, too, but I usually make a triple batch, and I usually knead in essential oils as well as food coloring, so I've gotten into the habit of dumping my play dough straight from the pot into my Kitchenaid mixer. I throw the oils and coloring on top, then let the mixer mix it with the dough hook until it's perfect. This is the same recipe i use (and love)! I had not made a new batch of playdough in too long. This evening we made some - using the exact same recipe, only I found the recipe in one of my grandma's old cookbooks! We just made plain orange today. We had a little boy over and our daughter said he should choose. Thus the orange! I actually had to giggle when this post arrived in my inbox just minutes ago! I just made this with my girls and I agree, this is the best play-dough recipe ever!!! Funny to see it posted today--I had to search for the blog that originally posted this about an hour ago. Just found your blog and I'm a new follower! I'm awarding you the stylish blog award! Please go to my blog to follow the instructions. I have tried this recipe a few times, but am struggling to get the lovely smooth consistency. Mine seems a little grainy to touch (perhaps the salt - it is a fine table salt) and dry (maybe overcooking?). I was wondering if you have any tips. My Child's Diary: I keep the playdough for a few months in case James wants to revisit a different color/theme. We always mix the creations back into the ball of dough. Georgia: I would say it has to do with overcooking it. I've done that on occasion and it always comes out too dry and a bit grainy. Next time you make it, cook it until it's just solid and then turn it onto the countertop and let it settle for a bit. That might help. I'm a new visitor to your site and - it's just magical! So many ideas! Quick qu - does the colored dough stain little fingers or furniture? I've only ever made it white. Oops, I see you answered my "does it stain" question on your FAQ page. You can ignore and delete that question and this comment. Thanks! Thanks so much for this post! I have been holding it in my memory since you first posted it, but just now took time to make my first batch. It is perfect! Who knew homemade play dough could be so easy and so soft! Every type I have seen before is sticky and this totally is not. I added turmeric after it cooled to make a nice, bright yellow. What kind of oil is ok? We have olive oil and canola oil? I only recently came across this post. Thanks for the great instructions. One tip that might help some folks-- in my neck of the woods (southeastern PA near a large Amish community), cream of tartar is sometimes called "Angel Cream." This seems to be the case in stores that are run by or cater to the Amish. I find it's sold in bulk and MUCH cheaper in such places. Don't know if this is true in other parts of the country, but it might help someone. Thanks! Love your blog. Breanne, we use vegetable oil - it may work with other types, but we've never tried it. Kate, what a WONDERFUL point to make - thank you! Very helpful! Coolest recipe ever! After I took it off the stove top I was a little hesitant because it was so gummy still, but once it started cooling down it was amazing! My kids are going to have so much fun with this on our camping trip tomorrow! Thankyou so much for this recipe. I'd never made playdoh before (just stuck with the expensive shop bought stuff) but yours is WAY better. My daughter had so much fun playing with it this afternoon making strawberries and apples. Your blog is such an inspiration. I was watching my little brother and he loved it. I've never made play dough before but this worked the first time. I use the same recipe here and a friend gave me a great tip - use boiling water instead of cold and you won't need to cook it. Just mix it all in and once it's cool enoug to handle knead it. Very nice on a winters day! I appreciate your comments so much - after all, comments are what make the blog world go around! Just a reminder: I moderate all comments before they're published, so if you don't see your comment appear right away, that's why!